Howard L. Gum is the recipient of 2011 Lawyers’ Weekly Leaders in Law Award. 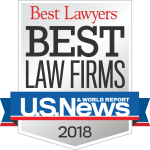 Historically, an award that only recognized in-house counsel, the application pool was this year opened to include attorneys in all areas of practice, as well as paralegals and academicians promoting advancement of many sorts. Following an exhaustive application and interview process, 25Leaders were selected and honored for their contributions on September 22, 2011. Mr. Gum received his award in absentia, as his trial schedule did not permit his attendance at the award ceremony. Mr. Gum was recognized for his significant contributions to the practice of family law, including his dedicated service in establishing standards for legal specialization in family law in North Carolina, his service to the Family Law Section of the North Carolina Bar Association and his commitment to our local district bar as its elected State Bar Councilor. Mr. Gum is honored to have been chosen among such an elite group of legal leaders. The Leaders in Law Award is in its third year. The Awards were created to spotlight individuals working to better the profession through mentoring and community involvement. The Lawyer’s Weekly Announcement can be viewed here.